NYFW is upon us again and that means it’s time to pack up my smartphone and iPad, hop in an Uber and head off to cover the Spring/Summer 2017 shows. Keeping organized and on time in a rush between venues is difficult. That’s where my New York Fashion Beauty beauty bag keeps me calm, collected, and beautiful. My pre-fashion week routine always includes a face peel to brighten my complexion. 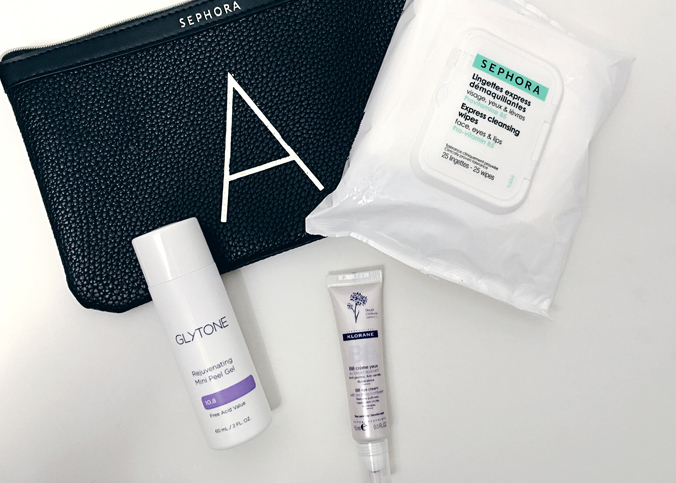 To achieve the results of a professional peel at home, I use Glytone Rejuvenating Peel Gel to exfoliates and rejuvenate with Glycolic Acid. During the week when my skin is tired and dull, I’ll use the peel for a second time for a quick refresh along with Klorane BB Eye Cream for an instant fix for dark circles. The gentle, refreshing daily eye cream soothes and decongests, and reduces puffiness, while masking dark circles. 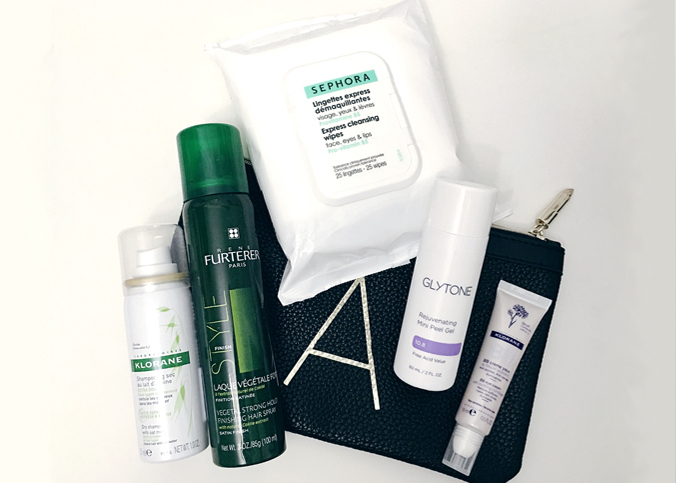 With the frenzy of fashion week comes late nights of social media and blogging and the last thing I want to do is my 10-step Korean skincare routine but I refuse to go to bed without removing my makeup with Sephora Express Cleansing Wipes. 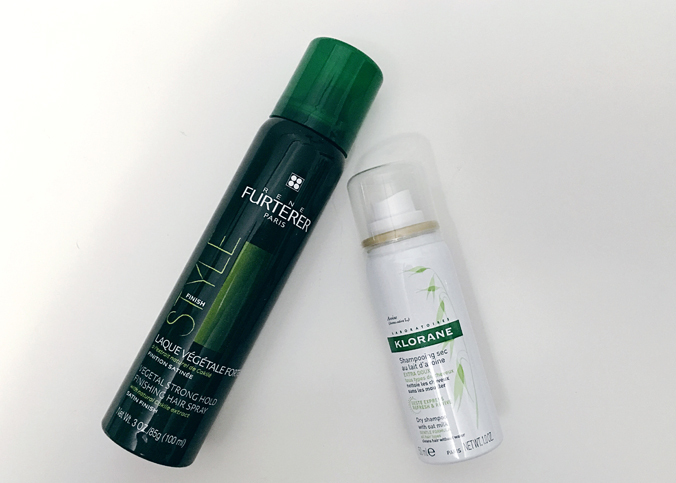 Between shows and presentations, I love popping into styling lounges for blowouts and to keep my hair fresh all week long I always carry Rene Furterer Finishing Spray to keep my hair soft to the touch without stickiness or flaking and Klorane Dry Shampoo for a quick refresh. You can’t go wrong with a dry shampoo that’s “Daddy” Karl Lagerfeld approved.